Does not include shampoo,shower gel etc. 1. Pool takes 2-3 days to pre-heat via the coal boiler. 2. Heating is supplied at your request, at a daily rate depending on the area hired. Heating is via coal boiler and radiators and can not be stopped/ started over short periods of time. There are generous supplies of hot water thanks to our boiler. 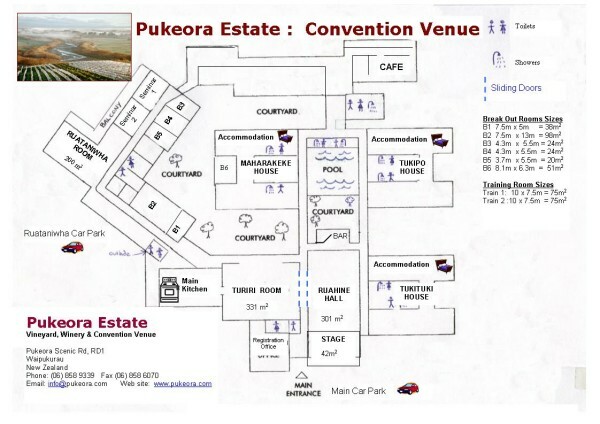 Click here to download a full size plan of the convention venue.